Every week in baseball, a significant player will hit the disabled list, slip into a slump, or get traded out of a good spot. How fantasy owners adapt to these situations can make or break the season as a whole. One lousy add might not hurt the long-term standing of a team, but failing to take advantage of breakouts or impact bats before others sure can. The primary challenge of playing in an NL or AL-only league is often the lack of options regarding adding and subtracting players when needed. 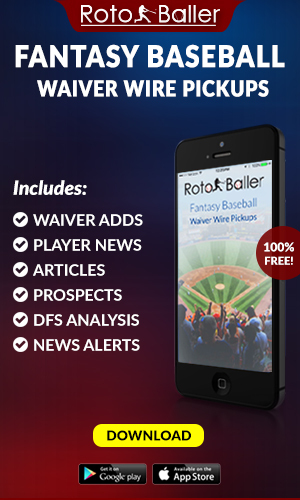 In mixed leagues, the players on the waiver wire are usually starting for an NL-only staff. So then how does one wade through the names of players that even regular fantasy players have never heard of, and that often will not even start for their teams to begin with? That is where this series comes in. 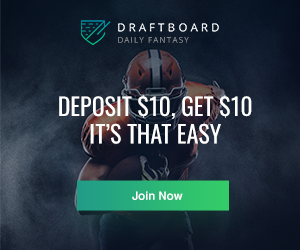 Instead of owners spending time digging the waiver wire of 0% owned players, this article will give owners a player at each position to fill the gap, or at the least, keep an eye on to add or stash. Not all of these players will replace that injury, but offer the best option off the scrap heap. Often the players advocated for here are long shots due to the nature of shallow leagues. No quick fixes, but some upside that could turn into much more. With that onto the island of misfit fantasy toys. Matt Wieters looks to be set to miss significant time with surgery last week, and Severino should be the starter for the time being. With a starting catcher on the waiver wire, it's incredible how little owned he is, even with the offensive limitations. Still, in 27 games Severino is hitting .253/.362/.329 with no home runs. No power at the position, but that .250 AVG for a catcher is actually decent. Other nice factors? K% is down almost ten points, and BB% is up six points from last year. If a team needs a fill-in at catcher, Severino will not hurt the roto scores, but make sure to get those counting stats from elsewhere. Raudy Read should have been next in line, but an 80-game suspension means Severino has no pressure to perform. Ryan Braun moving to the DL means that Choi will get another chance to prove his worth at Miller Park. Starting out of the DH spot at Minnesota this weekend, Choi got two starts with one appearance off the bench, going 2-for-9 with one home run. Not great, but the homer counts in any league. At the very least, if Choi can produce numbers like last season's campaign with the Yankees, expect this to be a valuable play. In 2017 Choi slashed .267/.333/.733 for a 162 wRC+. So far with the Brewers he's slashing .300/.417/.700. In both cases, the SLG will carry to the rest of the profile but expect more doubles than home run power. If adding Choi, expect that this could be a short shuttle back to AAA with the DH in play this week, but it seems like he is the first up when there are injuries. A shallow pool at second this week means a dip into the minors. With the Austin Meadows call, it looks like the Pirates are willing to give some of their younger players a shot. While Meadows got the chance due to other injuries, the kid gloves seem to be off on balancing the rebuild. What does Newman potentially bring to the table? At AAA Indianapolis this year he is slashing .320/.346/.413 with 11 doubles and eight steals. With the call expect Newman to offer AVG and OBP floors with steals upside. Do not expect power as he only has one homer at AAA, but at the position other factors are more important. Add him now and wait for that inevitable injury to strike. Josh Harrison should be moved at the deadline opening another spot. The Jose Bautista experiment lasted a total of two weeks in Atlanta. With the third base spot open, but being held for a slugging Austin Riley, watch out for Camargo to take this job for the near future. While only hitting .215 the 18.5 BB% is a crucial factor to watch moving forward. 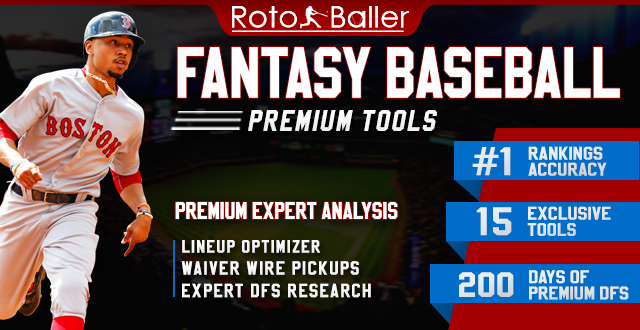 The OBP stands at .370 which is unusual with that contact rate, but also a critical factor in a line-up that is hitting on all cylinders right now. Getting on base means runs, and runs mean a good start in fantasy leagues. Roster flexibility also plays up here as Camargo might be a better MI play than 3B, but with those ABs, he offers more of a floor than most on this list. If teams are willing to trade AVG for runs this is a smart play. Since returning to Pittsburgh with a walk-off home run last season, Rodriquez has not offered much for fantasy owners. A .190 AVG with three homers this year will not get the job done, but yet he shows up on this list. While not a starter in his own right, the fact that he plays a super utility role for the Pirates means he has a swiss army knife role on most fantasy rosters. Lose a 2B? Plug in Rodriquez. Lose a 3B? Plug in Rodriquez. Some power upside is a pleasant surprise in leagues with daily rosters. Avoid for weekly play but when the matchup is right to feel free to plug him in. The other piece? Rodriguez is swinging at fewer pitchers, down from 50 to 45 Swing% this season. If he is more selective at the plate, then there can only be upside from the performance so far. What to do a player with upside potential but no clear path to a starting role in the bigs? Roster him. So far in nine games, O’Neil is batting .333 with two homers, making a case for a more extended stay in St. Louis this time around. While the 100 HR/FB% will not keep up if the numbers in the minors are any clue the rate should settle between 20-30. Even with some swing and miss to a career K rate of over 25%, the opportunity to grab 20+ HR off the waiver wire makes this too hard to pass up. In the minors a 50 FB% was standard, meaning that the current 17.6% at the majors should change as well. If he is already owned wait until the first slump hits and try to take this player off another roster. Do not break the bank as this is not a top 40 OF profile, but a nice bench bat where needed. Making his second appearance on this list in three weeks, Hernandez has started to heat up given more appearances. In the last week, for example, Hernandez is hitting, 273/.292/.727 with three homers for a wRC+ of 166. What this shows is that in small bursts he offers as much value from the outfield as some of those players drafted in front of him. What also stands out is how is how much better Hernandez plays at home than the road. Not something usually said for most Giants hitters. At home, he is hitting .300 with three homers compared to no homers and a .250 AVG on the road. Even better? 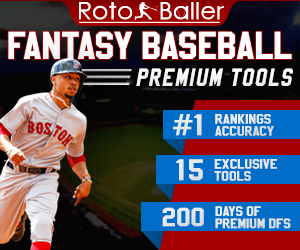 Left-handed pitchers at home: .310 with two home runs. Spot starter to say the least, when lefty pitches in San Francisco Hernandez should be in your line-up. Dipping into the minors again for a player to stash, this time turning to the Cincinnati Reds organization. Repeating AAA after a strong 2017 campaign Dixon is making a case for a call-up soon, and if not should be ready to go later in the year. With all of these minor league picks there is always some risk, but with Cincinnati, there might be something to support this stash. This team has been playing so poorly that it is hard to see them hanging onto Scott Schebler and Adam Duvall past the trade deadline with the ability to flip for pieces moving forward. The best case scenario is that Dixon plays his way to the majors. At AAA this season he is slashing .336/.386/.525 with three home runs and eight steals. The knock is that Dixon cannot play defense, but the good news is that he has been tried around the diamond. Even if he makes the team as a pinch hitter down the stretch, that power and speed combo makes him worth the risk. If not for this year, might be a good flier in a keeper league. 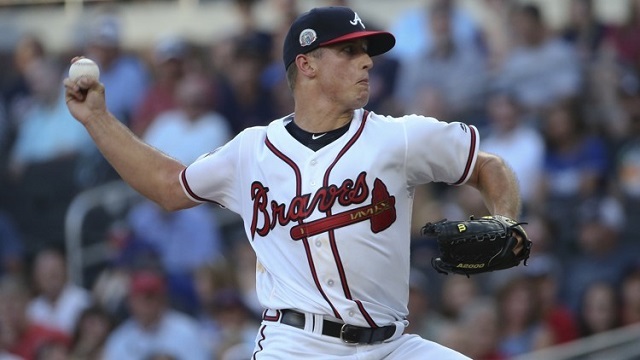 The Braves announced they were recalling Sims over the weekend and plan to place him in the bullpen. Fantasy owners should keep an eye on this situation as Sims was mostly a starter in the minors, and that should be his long-term plan here as well. At AAA this year, Sims has a 1.50 ERA in five starts while averaging 9.38 K/9. The 4.88 BB/9 is tough to watch, but if the play is the bullpen, the strikeouts should play up. Also, in 2017 at AAA his K:BB stood at 3.67 so do not expect the 1.92 to be the norm moving forward. High reward, no risk on this pick-up. At the very least with so many young arms in the Atlanta system, it should help to have the one who is in the majors when an injury or slump hits. Another Marlins reliever to grace this list, but again not one with clear save opportunity as of now. That being said, expect Brad Ziegler to lose the job any day with so many other options. Kyle Barraclough looks too wild to be relied on as the closer, so perhaps the task will fall to Wittgren. 13 games and a 0.66 ERA stand out, but not as much as the strikeouts. 11.20 K/9 make him a ratio standout, and the two extra wins he has added makes this an excellent overall package. Fastball, curveball, change-up mix means he is not the typical two-pitch bullpen arm but can go for a few extra innings when needed. While not calling him the next Andrew Miller at all, expect Wittgren to offer above-average K rate with more innings and more strikeouts in each of those innings. If owners play in innings leagues, this is a sneaky way to add an extra 20-30 over the course of the season. 21.2 innings and a 2.08 ERA highlight this profile for the top setup man in the Dodgers pen right now. Many owners added him when Kenley Jansen was struggling and then dropped Fields when the former returned to form. 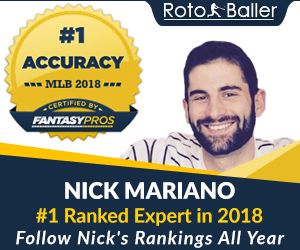 As in the case of many of these posts, relievers have value for the ratios they offer and other factors that give them benefit. Fields strikes out a decent rate with 7.28 K/9 and makes up for the last of crazy K rate with 2.49 BB/9. Only 9.7 HR/FB means he keeps the ball in the yard, and the ERA is something to count on moving forward. Also interesting is a pitch-mix chance with fewer fastballs, down to about 70%, and more curveballs and change-ups. Three pitches, a sound mix, and good pitching ratios make Fields a legitimate RP play in deep leagues.